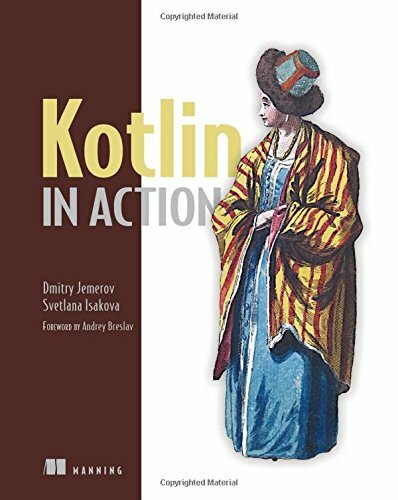 Kotlin in Action guides experienced Java developers from the language basics of Kotlin all the way through building applications to run on the JVM and Android devices. Foreword by Andrey Breslav, Lead Designer of Kotlin. Developers want to get work done - and the less hassle, the better. Coding with Kotlin means less hassle. The Kotlin programming language offers an expressive syntax, a strong intuitive type system, and great tooling support along with seamless interoperability with existing Java code, libraries, and frameworks. Kotlin can be compiled to Java bytecode, so you can use it everywhere Java is used, including Android. And with an effi cient compiler and a small standard library, Kotlin imposes virtually no runtime overhead. Kotlin in Action teaches you to use the Kotlin language for production-quality applications. Written for experienced Java developers, this example-rich book goes further than most language books, covering interesting topics like building DSLs with natural language syntax. The authors are core Kotlin developers, so you can trust that even the gnarly details are dead accurate. This book is for experienced Java developers. Dmitry Jemerov and Svetlana Isakova are core Kotlin developers at JetBrains. View More In Mobile Phones, Tablets & E-Readers. If you have any questions about this product by MANNING, contact us by completing and submitting the form below. If you are looking for a specif part number, please include it with your message.